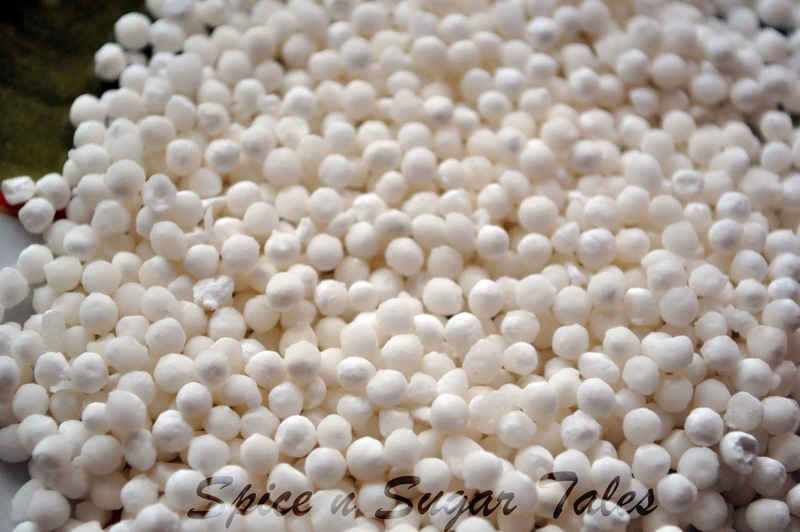 Tapioca is a starch extracted from the root of plant species Manihot esculenta. This species, native to the Amazon, Brazil, Colombia, Venezuela, Cuba, Puerto Rico, Haiti, the Dominican Republic, Honduras, and most of the West Indies, is now cultivated worldwide and has many names, including cassava, bitter-cassava, manioc, mandioca, aipim, macaxeira, manioca, boba, tapioca plant, yuca ˈjuːka) (not to be confused with yucca). In India, the term 'Tapioca' is used to represent the root of the plant (Cassava), rather than the starch. In Vietnam, it is called bột năng. In Indonesia, it is called singkong. In the Philippines, it is called sago. 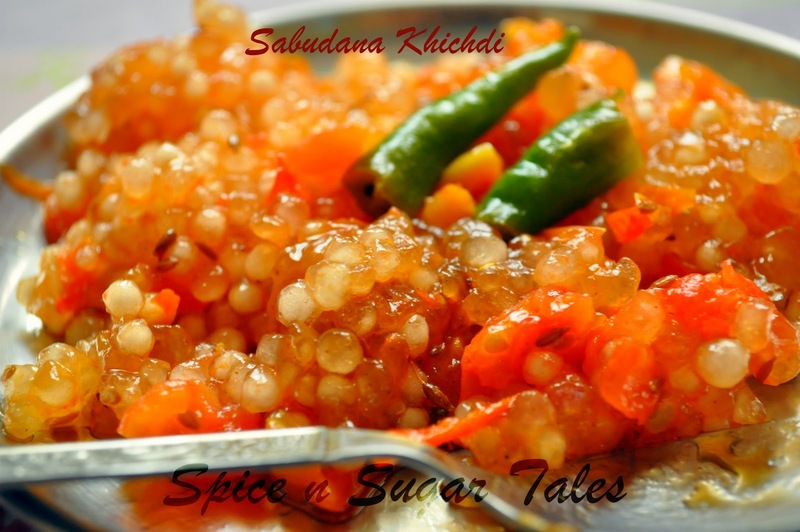 Soak the sabudana/sago in warm water for 40-45 minutes. Though it entirely depends on the type of sabudana you have, because some stay hard even after soaking for an hour and some loose their shape and overdo in even 30 minutes, so be prepared for the way you have been handling it. Take ghee/oil in a pan and heat it. 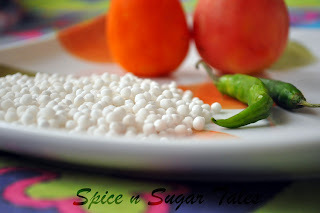 Add cumin seeds/ jeera to it followed by green chilly and tomatoes. Let it cook for 2 minutes till the ghee/oil separates. 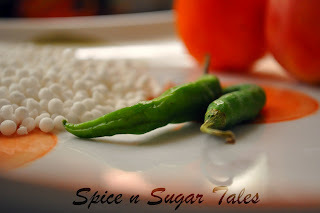 Now add sabudana (after draining the excess water) to it and then add salt. Stir well and cook for 5 minutes. 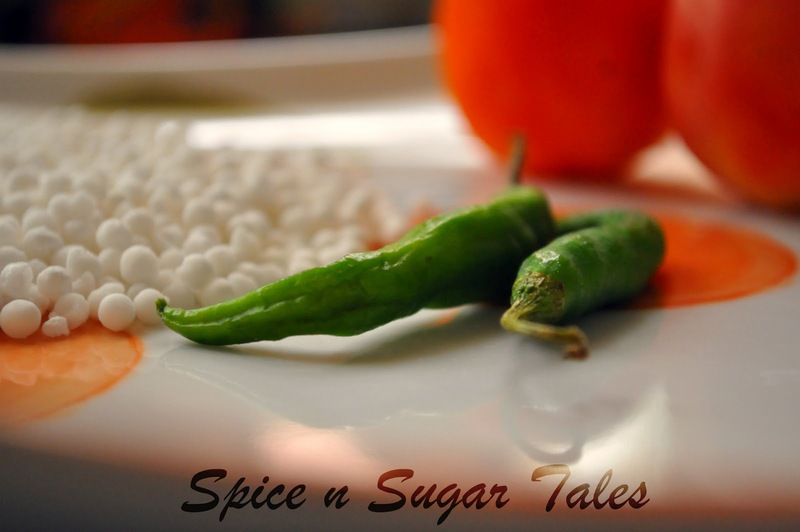 The sabudana being too starchy will surely love to stick to the bottom, so keep stirring to avoid the same, though some would still manage to do so even after all your hard labour. 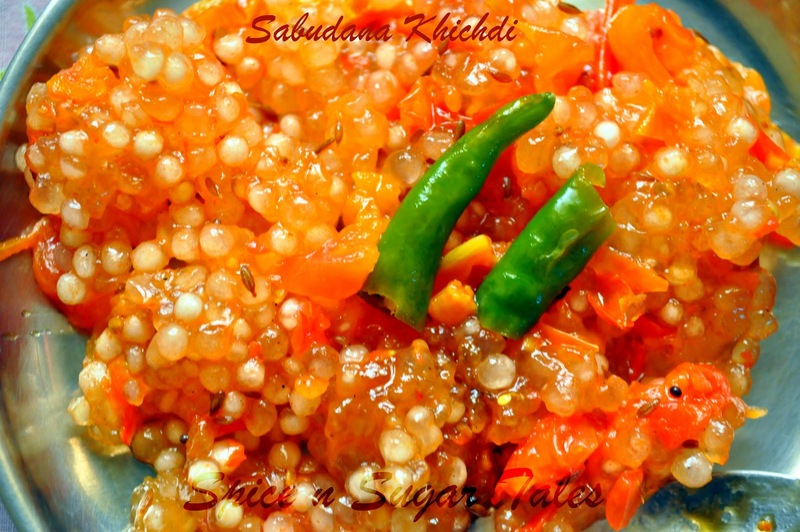 Check if the sabudana is cooked by taking a small portion in a spoon and pressing it between your fingers ( but don't just get burnt in hurry!). If you still find it hard (the lazy ones as I said who don't go soft even after sleeping in water for so long), add a little water to it and cover for 2 minutes. Again check for the right consistency, else repeat the last step till you get it right. Healthy and yummy , looks delicious! Saboodhana looks delicious, esp with the red color the tomatoes have lent it! Lovely red color and glad to know you are having a gala time in Africa. One of the must visit place in my list. Hey girl, glad to see your post n that to from Africa! Its an enigmatic place for me which I definitely plan to visit someday..
Lovely colour for the khichdi. Please reply back as I'm hoping to create my own personal blog and would love to find out where you got this from or just what the theme is called. Thanks! ρut thiѕ articlе together. I οnce again find mуself рersonally sρеnding waу too much time both reading anԁ commеntіng.